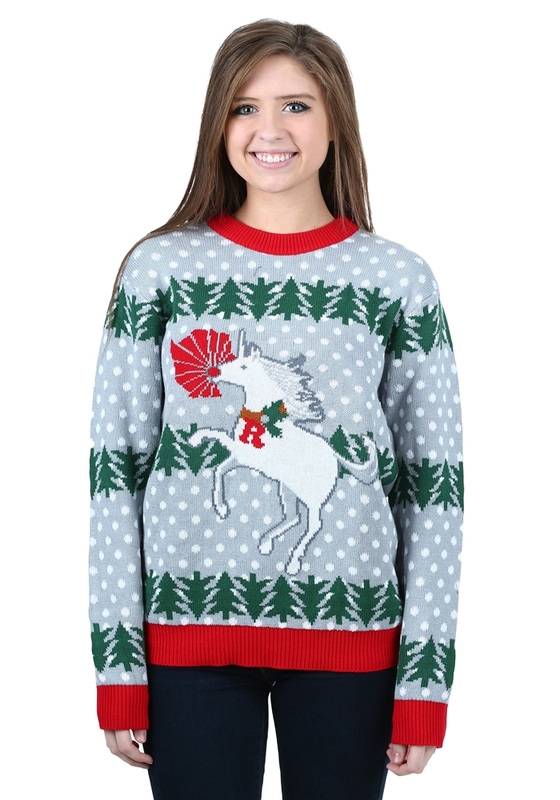 Guide Santa’s sleigh tonight as only a red-nosed unicorn can in this Unicorn Rudolph Adult Ugly Christmas Sweater. Magical and glorious, this gray Christmas-themed sweater is decorated with a rearing white unicorn with an illuminating red nose and a brown collar with a dangling red “R”, green Christmas trees pattern, and white snowballs (polka dots). The sweater also features a red collar, waistband, and wristbands. 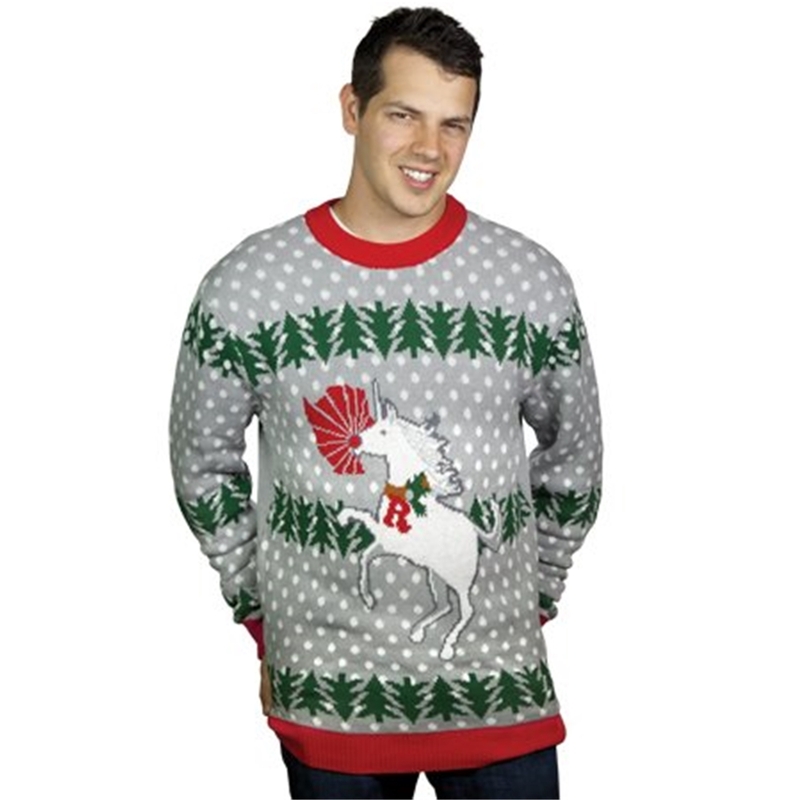 For fans of Christmas and unicorns, this adult ugly Christmas sweater makes for fun wear at a Christmas party or an excellent gift.